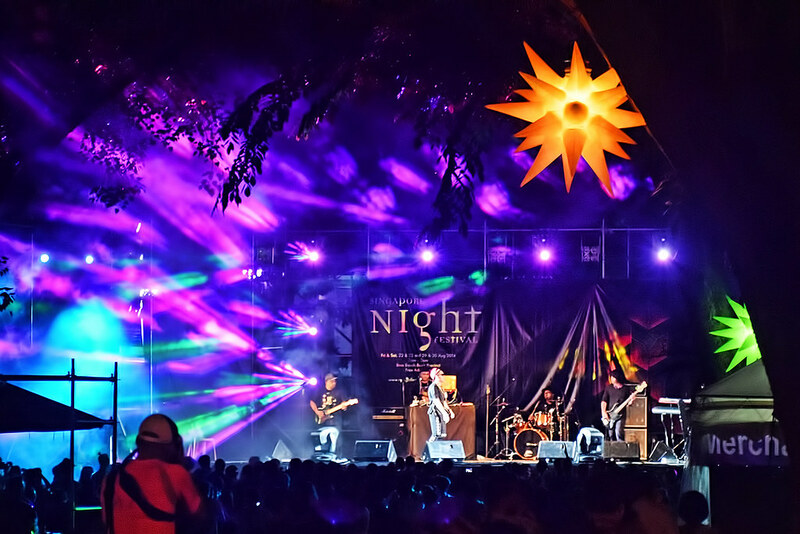 The Singapore Night Festival is an annual street festival held over two weekends celebrating the arts and Singapore’s rich cultural heritage. It is held every year in the Bras Basah and Bugis Precinct at the heart of Singapore’s Museum District and Art Scene. The festival is a massive street party centred around an artistic extravaganza of fun and entertainment. There is heaps to see and do including musical performances, improvisational theatre, film screenings, roving street performers, colourful building-sized light installations, dance, aerial performances, demonstrations of magic and illusion and cultural exhibitions. The festival both international performers from around the globe and Singapore’s local talent. The best thing is, since its beginnings, the festival has been FREE to attend. The National Museum of Singapore sponsors the event. It also acts as a major venue for various performances and demonstrations along with the Singapore Art Museum and the Peranakan Museum. These museums also provide the public with free admission to their exhibits on festival nights. Make sure you head down to Armenian Street during the festival, as this street becomes a pedestrian-only area with heaps of live entertainment. If you are interested in visiting Singapore during this fun event, click the link below to find the best deals.